Fast-forward six months, and my supervisor mentioned one day that the wedding planner she worked for was currently looking for a spring intern. I freaked out and IMMEDIATELY went to a computer to compose her an email. I'm a junior at Belmont University and an aspiring weddings/formal events planner. I am currently working for one of your Event Assistants. . . I've been following your company's blog for years and was so thrilled to find out Kimberly was part of your team. She told me A Delightful Day was looking to hire an intern this January, and I would LOVE to be considered for the position. Any sort of experience I can get with event planning/coordinating would be incredible, especially with a company I've admired since high school. Please let me know if you'd like me to send in my resume or an application specific to ADD. And then, as fate would have it, I joined the team of incredible planners I'd marveled over for years. I assisted with beautiful weddings in gorgeous settings across Nashville -- barns, symphony halls, gothic cathedrals, Hindu temples, plantation homes and modern brick-and-mortar venues galore. I assisted with every wedding I could possibly fit into my schedule and worked behind-the-scenes (blogging, marketing, and assisting with event plans) during the week. Mary Alice was a marvelous planner to learn from, having had years of experience under her belt and plenty of stunning events in her portfolio. 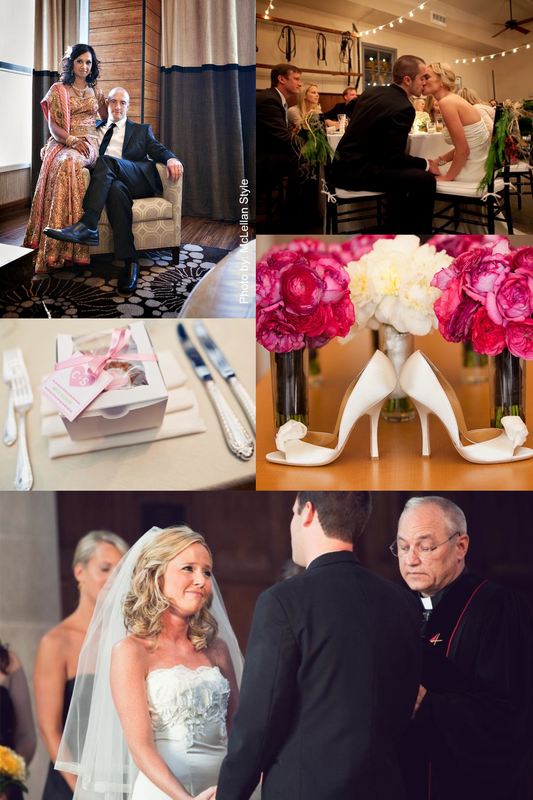 Some of my favorite weddings by A Delightful Day! When I graduated from Belmont (finally having settled on achieving a Communications degree! ), I moved up in the ranks from an Event Assistant to Event Planner and had the privilege to direct some lovely weddings on my own. Coupled with the weddings I'd started to plan and execute independently through word-of-mouth, I kept very busy, filling my calendar with all kinds of odds-and-ends of wedding work. Since I emerged into the wedding industry back in January 2010, I've done everything from logging wedding videography footage to setting up gorgeous floral centerpieces (and making a FEW on my own! ), manning a photo booth, directing bridal fashion shows behind the runway, putting together out-of-town welcome bags, and designing inspiration boards for brides who want a visual aid to depict their wedding day "vision." I love what I do, and I love the field I'm in. As the subject of this series depicts, there are so many things I love about weddings... The fashion. The color palettes. Unique, personalized details. Making old things new. Repurposing beautiful items to incorporate in wedding day decor. Tablescapes. Gorgeous rental furniture and place settings. WEDDING CAKE. Beautiful textures, textiles, and materials. Insanely pretty locations. I love the variety of ways you can go about producing a modern wedding: elopement for two followed by a champagne dinner and tiramisu, draped tent with dramatic lighting for 200, covered bridge celebration with a church reception, gospel choirs singing recessionals, synchronized swimmer cocktail hour entertainment! There are unlimited possibilities, and brides are getting creative with their plans! MEGA SWOON.